The Roulotte was from origin a house for the nomads, high on their wheels gave shelter to a homeless family. It was on one side a way of living but also a way to travel, most of the time pulled by a horse. It’s this bohemian spirit you can find in our Roulottes de Campagne. 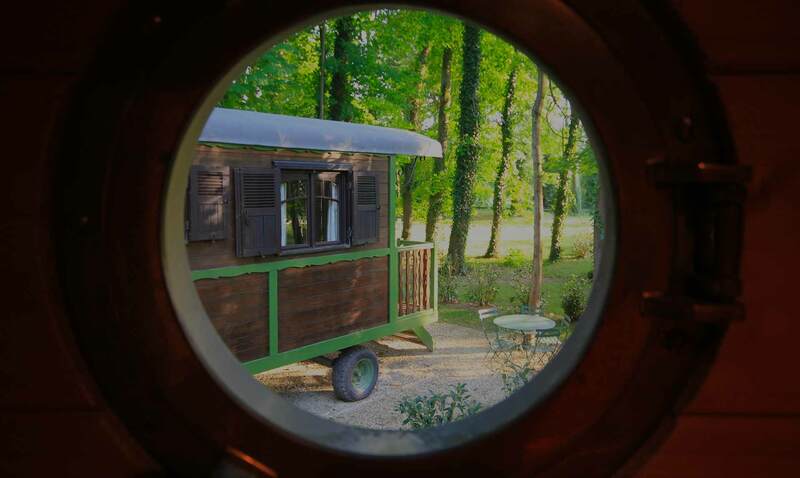 For those who want to spice up a little bit their holiday by choosing an accommodation non classic but on the other side are not into a real adventure, the Roulotte is a perfect solution! 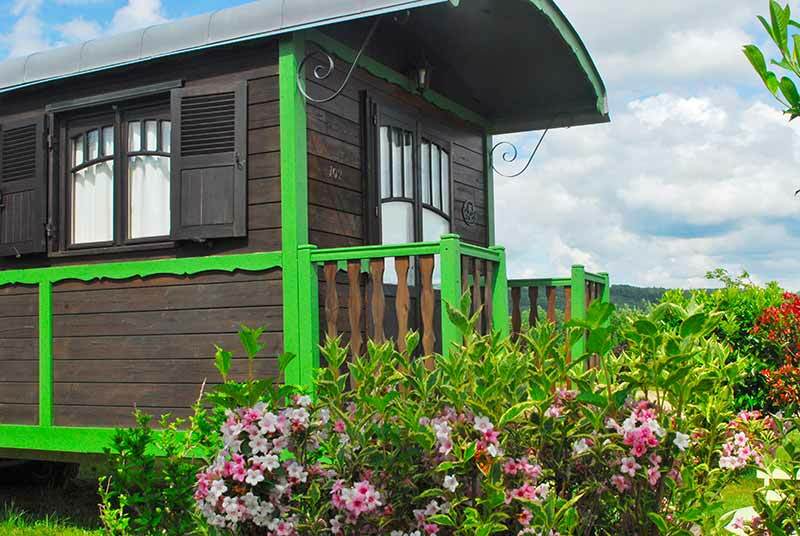 Nearby a lake, an apple orchard, or in the middle of a forest, our Roulottes will charm you by their rustic aspect with the wooden interior but will also surprise you with its modern comfort and liveability it has to offer you. Are you looking for a ‘bohemian chic’ holiday? La Roulotte de Campagne is made for you ! Situated on the border of the Auvergne and Burgundy, next to the Loire, Village Toue du Domaine des Demoiselles welcomes you for a holiday with all comfort provided in the heart of preserved nature, Natura 2000. He owes his name to the dragonfly ‘Demoiselle’ who loves flying around in the summer. As a relaxing holiday place, this village fits perfectly with couples, families or friends: detox holiday guaranteed!